They used to go for prices as high as Euro 150. I got mine for a similar price, though. It's a great lens! I'm hoping so, ive got another but it was in very poor shape and have been keeping an half eye out for another. Its here, nice, clean and tidy. In box with all of its paper work. The front element looks to have been off with a mark or so in the retaining ring's holes for removal. But the terminals are very clean with only one or 2 score marks. I have 4 of the tamron. All function. 1 is new in box, 1 is nice used, 1 slightly less nice, and 1 showing heavy use. I would sell one for parts potentially. I got the new one a few years ago on eBay From seller in Bahrain. I took a risk, considering his location and low number of feedbacks. It arrived as described.... new. My only regret is not buying both of them he had. This was shortly after the “discovery” of this lens. They sold quick. Before anyone knew about this rare model, nobody gave them a second look when they popped up for sale. When I got my first one, it was almost unknown to everyone on Dyxum. Had I seen the one you bought, I would have bought it. Did it come from Germany and listed as new? Only from the mind of Macronut. Aye that's why i jumped on it. Yes from Germany marked as new. The box looks like it been re-priced a few times in Deutsche Mark. Just bought an A700 with vertical grip, both new in box. Came from a camera store that was clearing out old inventory. Paid a total of $400 shipped. What do you guys think? The asking price was $695 plus $25 for shipping, which was absurd in my opinion. Not something I will use a lot or needed, but I threw out a lowball offer for the heck of it. I was denied. then I Offered an additional $50 and it was accepted. Just an extra note, I bought the Tamron 500mm mirror lens hood to replace the very short one that came with the lens, does the job so much better....and only £28 with free delivery in the UK. Anyone on here get that ebay Minolta 9000 with the 135mm on, advertised as a 55mm ? 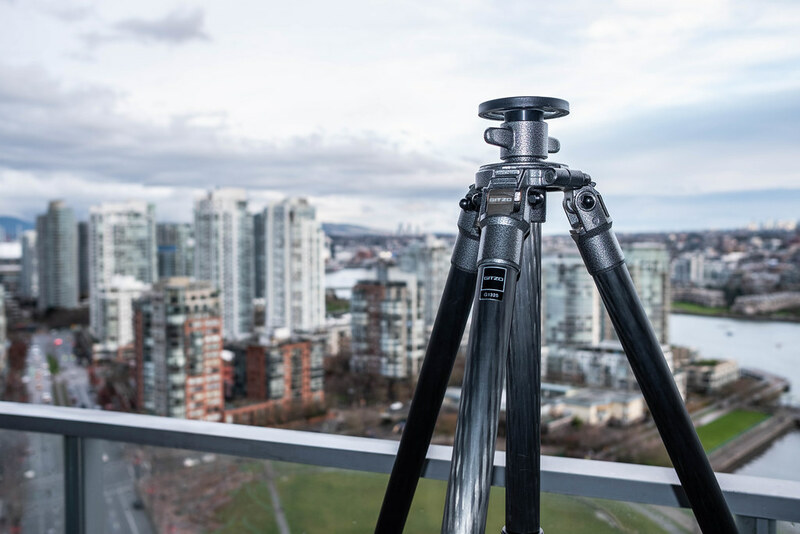 got this Gitzo G1325 Carbon Fiber tripod through Facebook Marketplace for $289 CAD (or about $212 USD)! It became an even better deal when I met up with the seller and he said: "Oh, I forgot to mention in the ad, it comes with the center column" A quick check in eBay, that center column alone is going for over $200 USD and it's used! Good days to be an A-mount guy. Two crazy deals in the last few weeks..
Don't really need either - but I had to. Both in well used condition, but glass, optics and mechanics perfect. How much for an A900 + KM AF 28-75/2.8 (D) (both boxed)? or an SAL AF 1680ZA DT T* Vario-Sonnar (boxed complete)? Well one was £300 and the other £103 though the £103 one was £18 more than another copy I missed, but you tell me if the numbers stack up or not. Now I'm waiting for the a99 to plummet in price so I can make the switch from OVF (that A900 is tempting) to the digital viewfinder world. Cannot believe they still do between 1000 and 1500 euro when A7ens can already be picked up for 500 or less. That's quite a nice deal. Let's see if I can top that. Bought me a 85mm D F/1.4, 100 macro D, 50mm RS 1.4 and 100-300 APO for €200 last week. I also bought a Tamron SP AF 90/2.8 Di 1:1 Macro (Canon EF Mount - 272EC model) for £110.00. I sold my as new boxed complete A850 body for £395 and replaced it with the A900 and sold the Tamron SP AF 90/2.8 1:1 Di Macro (272EC) for £160.00, the KM 28-75/2.8 (D) for £180.00,so made some good coinage within 2 weeks, so who knew and my A900 and Tamron SP AF 90/2.8 1:1 Di Macro (unboxed 272EM lens) owe me nothing and a chunk of change in the bank. What a score! @Piraat, some nice trading and upgrading the gear for free I also should get rid of some stuff. Probably will let the beercan stuff go (50/1.4, 28-135, 70-210, 100macro) an the APO zooms (not the 80-200, love that one). However A-mount is turning into a buyers market with prices plumetting.